The Bulls had a day off so we had time to roll out an updated set of charts. Click on any of them to get a larger view. 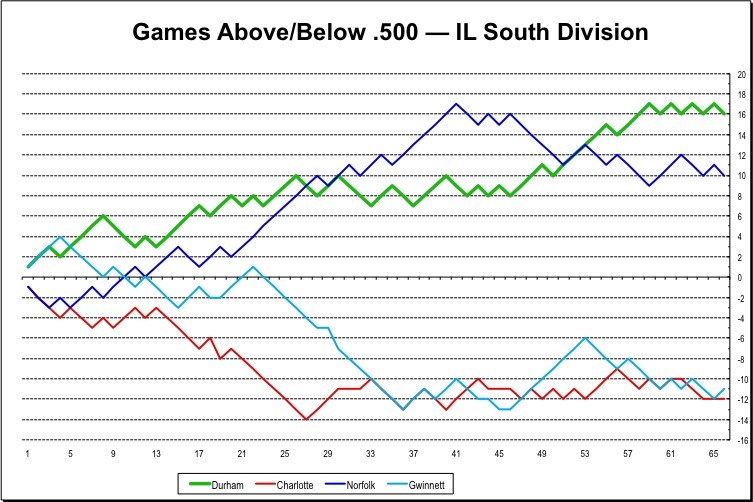 The first shows where the Bulls stand in the International League South Division. After the recent extraordinary home stand, the Bulls then held their own on the road as Norfolk slipped back slightly. 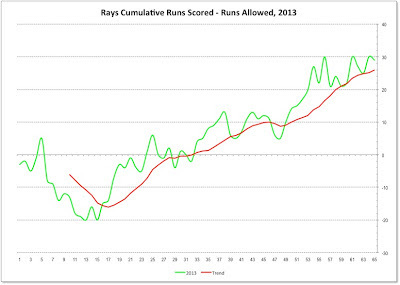 The runs scored minus runs allowed chart is very, very nice, as is the trend (10 game moving average). 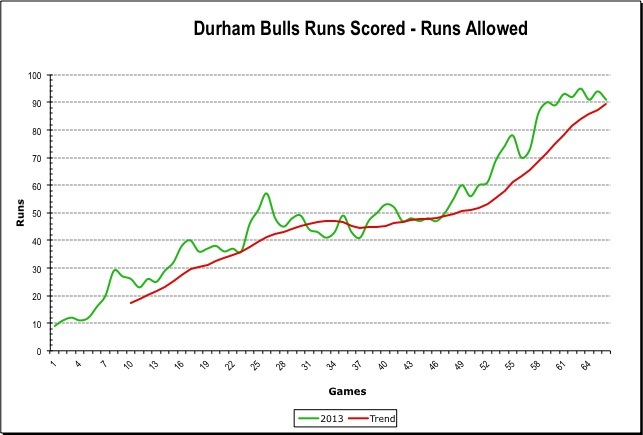 The Pythagorean Expectation based on these numbers (367 runs scored, 276 runs allowed) exactly matches the Bulls won-lost record of 41-25. 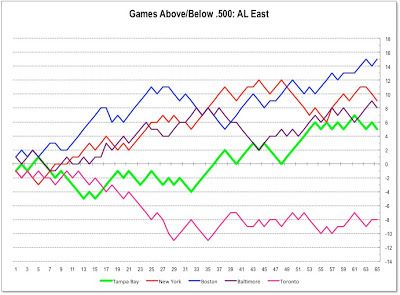 Until yesterday the ERA numbers had been steadily improving over the last 15 games. 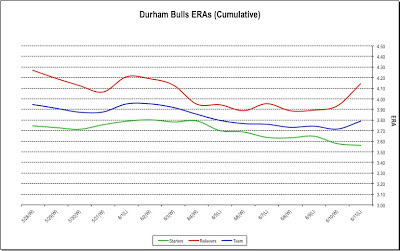 Considering that the Bulls have had 30 (count ‘em, 30) roster transactions involving pitchers this year (that would be a transaction every two games) we can only applaud Charlie Montoyo and Neil Allen’s leadership and management skills. 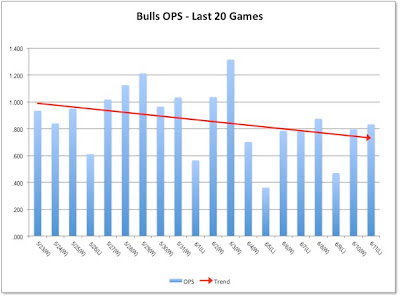 The recent trip cooled off the Bulls hitting performance just a bit, but it was unsustainably high anyhow. 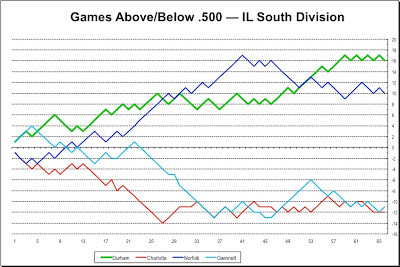 This 20 game stretch still looks very, very good with only three games that the Bulls have been held under a .600 OPS and six with over 1.000 games. That is exceptional hitting and on-base performance. 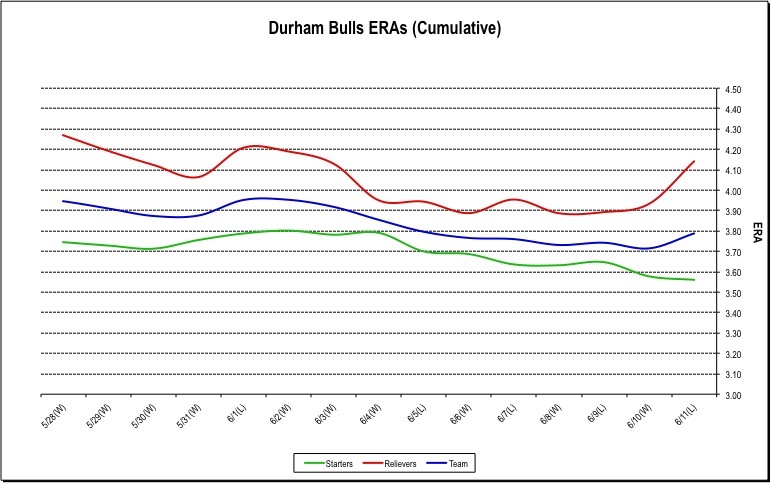 Just for grins, how do the Bulls compare to their friends playing down in that bandbox between the bay and the blue sea? 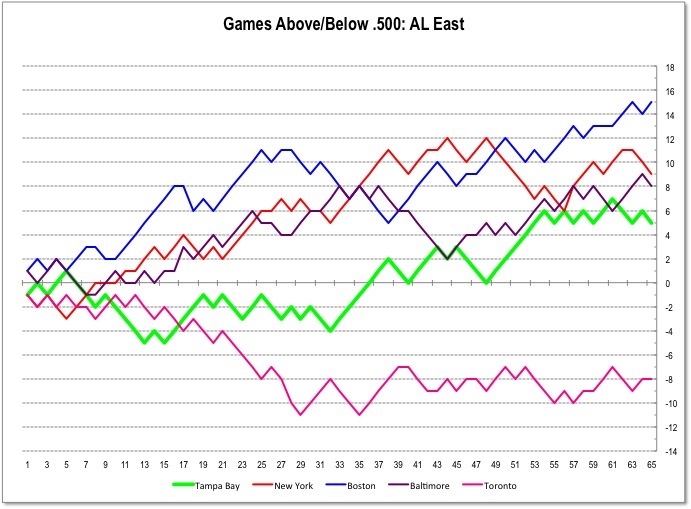 The Rays have been in fourth place in the AL East all year. Once or twice they’ve caught up with Baltimore only to fall back. 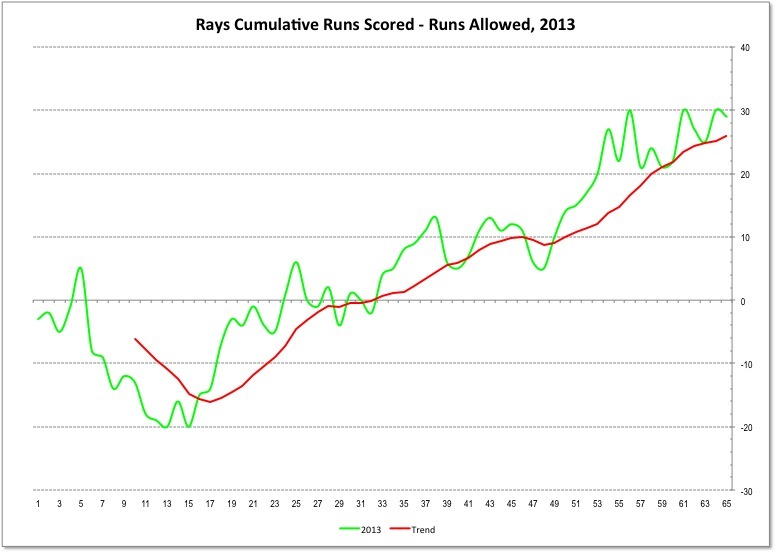 Their runs scored minus runs allowed shows a pattern that predicts a barely above .500 performance. When run through the PE formula their 322 runs scored matched against their 293 runs comes up with a PE of 35-30, exactly matching their won-loss record.